turkey burgers | I Am Not A Restaurant! In Search of A New TB Fave! From my Martha days, I make a great turkey burger called with full truthfulness, “my favorite turkey burger”. But I needed another alternative and a quick search turned up this recipe from the cult eating mastermind behind Ottolenghi. Don't let the fluidity of the meat fool you – it will firm up in the cooking process. That said grilling these burgers is not an option. It is perfect for kosher friends. The serving sauce calls for sumac. Rest assured it works without it. 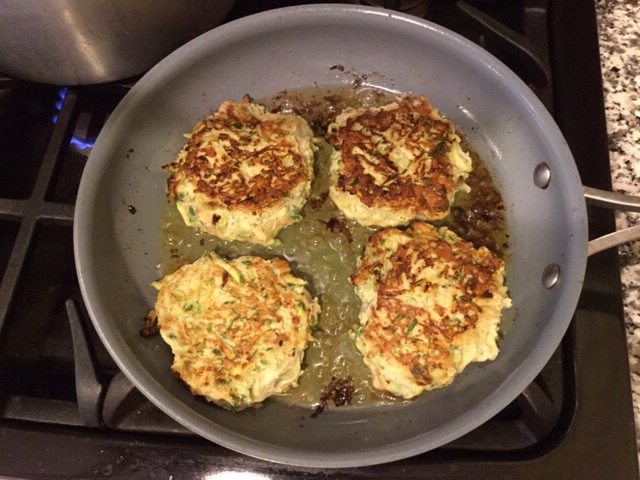 I'm including links to the recipe in its original (metrics) and to the blog where I found it.